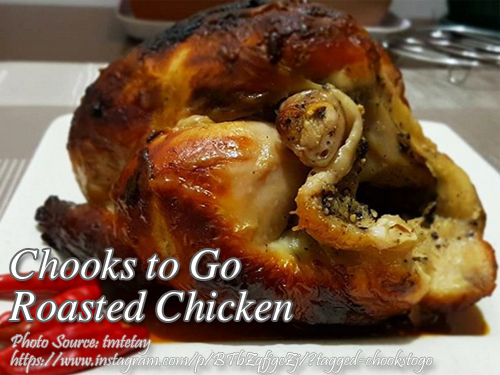 Roasted chicken is one of the favorite dishes of Filipinos and you might wonder why is there so many roasted chicken store sprouting every where. From the premium brands like Andok’s or Baliwag lechon manok that has been in business for so many years to the new players in the lechon manok business. But most of them are cooked and spit roasted over live charcoal. Very few are seen selling roasted chicken on an oven. The most popular oven roasted chicken as far as I know is Chooks to Go and I’m sure if you have already tasted it, it is really tastier than that of lechon manok and you don’t even need to eat is with a sauce because the marinade is deeply absorbed in the meat. The recipe here is just a copy cat and not exactly the taste that you might expect but at least it might be closer to the exact recipe. You are free to experiment and who knows you might get closer to the real recipe. Just enjoy cooking and eating! Stuff the chicken with lemon grass and onion. Set aside. In a bowl, combine calamansi juice, salt, pepper, soy sauce, sugar, sprite and oyster sauce. Mix until the sugar is dissolved. Pour the marinade on the chicken and rub and massage it on the chicken for a minute. You can also use a big syringe to inject the marinade inside the chicken so it will taste better. Then put in a container and cover. Place in a refrigerator and let it marinate overnight. Roast in a preheated 350 °F oven for about 1 hour and 30 minutes. It's better if you have a rotisserie oven so all the sides are cooked even. Baste with the marinade on the chicken every 30 minutes of roasting. Chop before serving or serve whole.